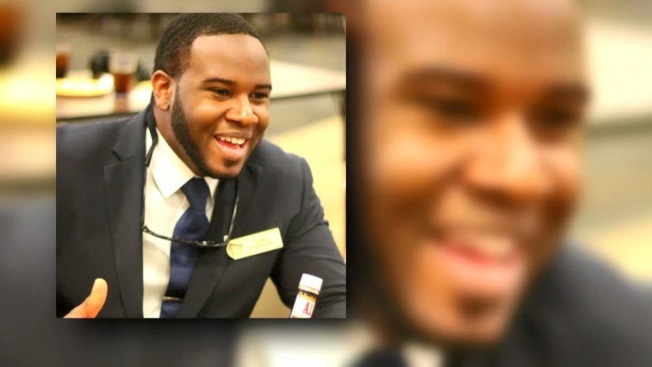 The family of Botham Jean, the Dallas resident fatally shot earlier this month by an off-duty Dallas police officer who says she mistook his apartment for her own, intends to file a federal lawsuit claiming excessive use of force. Attorney Lee Merritt told the Associated Press Wednesday that Jean's family will name Amber Guyger and the city of Dallas as defendants in the lawsuit. Merritt didn't say when the lawsuit will be filed or what damages the family would be seeking. Guyger told investigators she had just ended her shift Sept. 6 when she returned to her apartment complex, but she went to the wrong unit. The door was ajar and swung open to reveal a figure in the darkened apartment. Investigators said Guyger drew her service weapon moments later and fired twice, striking Jean. An arrest warrant affidavit released later said Guyger didn't realize she was at the wrong apartment until she was on the phone with 911 while providing first aid to Jean. Guyger, who has been charged with manslaughter in the shooting and is free on bond, was fired Monday by the Dallas Police Department. Guyger's attorney, Robert Rogers, said Tuesday that her firing was premature and unfair. After a memorial service in Dallas Sept. 13, Jean's body was returned to St. Lucia and buried Tuesday. Coverage of Jean's shooting has reached national levels. During last Friday's Senate debate between U.S. Sen. Ted Cruz (R-TX) and U.S. Rep. Beto O'Rourke (D-El Paso), both candidates fielded questions about the shooting and the unfolding investigation. The candidates addressed the recent shooting death of Botham Jean by off-duty Dallas police officer Amber Guyger.